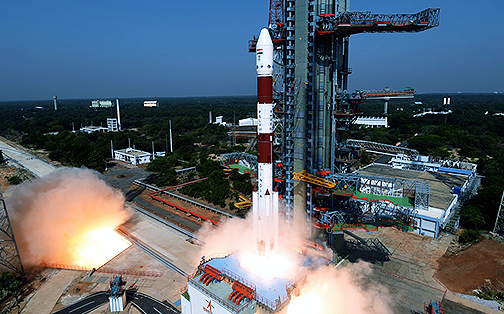 On April 1, Astrocast successfully launched and deployed their second test satellite mission X with Indian Space Research Organization (ISRO) on the Polar Satellite Launch Vehicle (PSLVC45) — the launch occurred from the Satish Dhawan Space Center. ISRO's EMISAT launch from Sriharikota carrying the Astrocast smallsat and ride companions. On this second mission, the company's focus is on a set of propulsion technologies that are designed for separation, collision avoidance and de-orbiting. The ability to control, reposition and de-orbit smallsats is key to lessening the amount of space debris that is currently plaguing LEO missions. Collision avoidance is an ongoing battle. Photo of the AstroCast Cubesat. 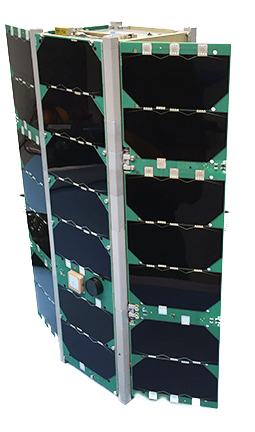 Astrocast's first test, launched in December of last year, is fully stabilized with a working payload and is operating nominally... additional information will be forthcoming regarding this smallsat's performance. Artistic rendition of the Astrocast constellation. Astrocast Founder and CEO, Fabien Jordan, said it is very important that companies think about the entire lifecycle of their nanosatellites. As a Swiss company, he stated his firm will lead by example and do everything they can to keep space clean. Using a set of reliable and flight proven technologies, Astrocast is building the ability to control, maneuver and, ultimately, de-orbit its satellites. 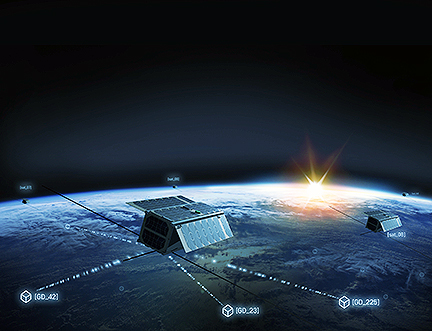 The firm's smallsats can avoid collisions with other satellites, easily de-orbit and re-deploy satellites for technology upgrades as well as reduce the amount of space debris left at the end of a satellite’s lifecycle. This nanosatellite represents the first of many technology advances we aim to develop toward the security and longevity of the firm's network.